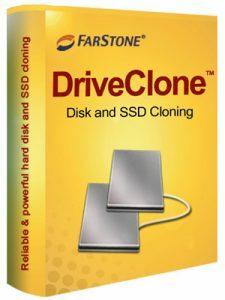 DriveClone - FarStone Technology Inc.
DriveClone is a disk cloning application, designed to help you create full disk cloning, incremental backups and file version duplicates. It creates an exact copy of your computer’s hard drive or duplicate only the selected disks and partitions. The cloned disk is bootable so you do not need to reinstall the operating system, drivers and applications when upgrading to a new drive. DriveClone does sector-by-sector or file-by-file cloning intelligently. All data files, system files, applications, preferences, contacts, photos, and partitions will be completely cloned. But makes DriveClone outstanding from similar applications is that it automatically resizes destination disk partitions, excludes junk files, defrags disk, retains disk GUID and does incremental cloning. Why you need a DriveClone? DriveClone can do any of above in 3-clicks. ** Refer to "Main Features" on left for differences between free and licensed editions. How to clone or upgrade/migrate a laptop? How to clone/migrate a desktop or server? If you would like to migrate/clone from out-side of Windows without installing software. TotalRecovery USB is the solution for you. DriveClone makes an exact copy of a disk, and resize partitions automatically when cloning to a different size drive. The cloned drive is immediately bootable. DriveClone provides data protection by incrementally cloning all files and changes made to the hard drive. You can access any files versions, modified or deleted, through Mirror drive archives and hierarchy system. In case of disaster such as system crash or data loss, simply swap the failed disk with the mirrored drive and system will continue as usual. Recommended by Galido Networks! "DriveClone has been the easiest, smoothest tool we’ve used thus far"
Do you have a large hard drive and are trying to clone it to a smaller drive? Did you purchase an SSD drive and the the capacity is smaller than your hard drive, but your hard drive’s used space is within the smaller drives capacity? 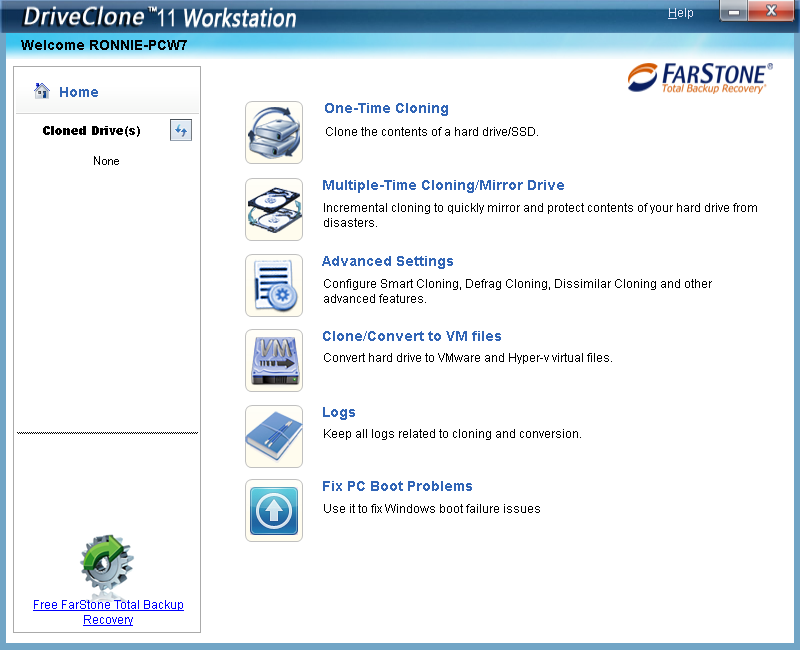 There are many clone tools out there, but Farstone DriveClone has been the easiest, smoothest tool we’ve used thus far. 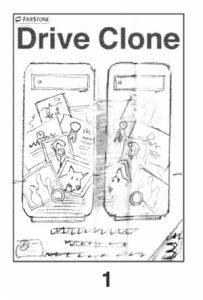 ... Another important feature is that DriveClone copies other partition formats, including the recovery partition, something not always easily accomplished with other tools. DriveClone Server integrates an advanced set of features for cloning your hard drive, booting on a new system, and using the same programs as in the old drive. The learning curve is smooth and easy so you are not going to spend a lot of time tweaking the configuration settings. Gary Oldwood - Editor "Best Ever PC, Disk, SSD Cloning & Migration"
"Highly recommended program that will solve all your cloning tasks. FarStone definitely flags this software area as its own territory". 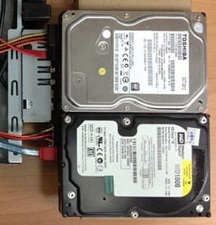 The main purpose of DriveClone is to clone both SSD and HDD. This feature of DriveClone is probably its strongest point, and depending on your objective you can use different tools. 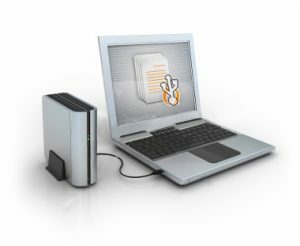 For example you can update or migrate to a new PC or Server, or migrate HDD to SSD. One-click migration is supported as well. 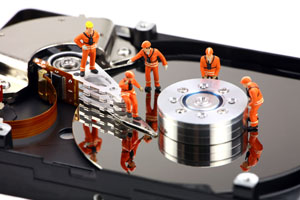 Cloning a disk includes not files and folders, but Windows, applications and their settings. The cloned Windows drive is bootable right from the beginning, without requiring you to make any special settings. In addition, the perfect defrag feature can boost speed by 20%. Just cloned from my 650 Gb HDD (7 partitions Sony Vaio) to a hybrid 1 TB. The only thing I can say is: FANTASTIC. Plugged in and functioned just like nothing had happened. "Could not have been easier, I very impressed" - Lance W.
I just used DriveClone to migrate my wife's Windows 8.1 750GB hard drive installation onto a smaller 480GB SSD. It worked great, with the default settings! DriveClone seems to have recognized unused space on her old drive and eliminated that to make a properly sized final SSD. Concerned about partitioning and system 8.1 migration from 450g HDD (GPT) to 240gSSD, using MBR drive between (imaging). Result with this product, flawless, one step clone. All I needed was SATAII to USSB3. Changed drives and booted right up. "it worked great" - Phillip L.
Just to say that I just cloned a drive with the product and it worked great. my partitions being mixed with MBR and GPT but your product cloned the disk fine and all works great. Many thanks for a great product that doesn't nag, is simple to use and does exactly what its supposed to do. "a true 'Clone' " - William E.
THANKS !!! I cloned just the windows, partition, (and GPT bits) all was 3 clicks like you said. windows 8.1 (all updates) HDD >> SDD. clone: 560gb to 111gb The SSD now boots the old hdd as data space only. recently bought a SSD and have tried several Cloning tools. Until now Farstone is the only Cloning Tool I have tried able to clone a GPT HDD to a smaller SSD without any problems. just in my left eye. Perfectly cloned SSD upgrade.